Buccal fat pad removal, also known as cheek fat removal or buccal lipectomy, is a surgery that removes excess fat pads from the cheeks to create a more contoured facial appearance. It is generally used to reduce chubby cheeks (“chipmunk cheeks”) that can be due to genetics or weight gain. 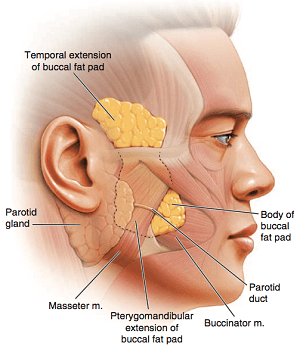 What Is Buccal Fat Removal? Furthermore, Dr. Mankoj Bachhav most commonly performs what he calls “buccal space modification” in combination with other facial rejuvenation procedures to help reshape the face to it’s more youthful contours. When evaluating a patient’s face, Dr. Mankoj Bachhav philosophy is that the goal of facial rejuvenation surgery should be to create soft transitions between the different subunits of the face (upper face, mid-face, lower face). This approach often involves refining the appearance of the buccal fat pads if they are excessively convex so that this soft transition can be achieved. Cheek reduction surgery helps an individual improve not only the appearance of the cheeks but brings harmony to the overall facial shape. For patients with overly full, round or chubby cheeks, removing the buccal fat pads results in a more sculpted and symmetrical facial appearance. The procedure is performed from inside of the mouth and does not result in visible scars on the face. Dr. Mankoj Bachhav will strategically remove the correct amount of the buccal fat pad to enhance the patient’s youthful contours and overall facial shape. Addressing the buccal fat pad is extremely important in Dr. Mankoj Bachhav approach to facial rejuvenation to create the most attractive facial appearance. During a consultation with Dr. Mankoj Bachhav, a globally recognized facial plastic, and reconstructive surgeon, he will evaluate the patient’s face and listen to their plastic surgery goals. Together, Dr. Mankoj Bachhav and the patient will come up with the best surgical plan to help them achieve their desired facial rejuvenation results. Are You a Candidate for Buccal Fat Pad Removal? With chubby or puffy cheeks. With a convex cheek appearance. Who has received setback mandibula plastic surgery to reduce the size of the chin or jaw? 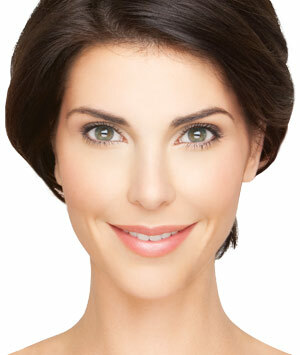 This procedure helps shorten the jaw, but it can compress the mid-face tissues, causing chubby or puffy cheeks to form. With prominent high cheekbones and sunken cheeks under the cheekbones. Who wants to rejuvenate the overall appearance of their face. Before buccal space modification surgery is performed, Dr. Mankoj Bachhav will offer full details about the benefits of buccal fat pad removal surgery, the procedure itself and recovery after treatment. He will also respond to a patient’s concerns and questions to help make an informed treatment decision.